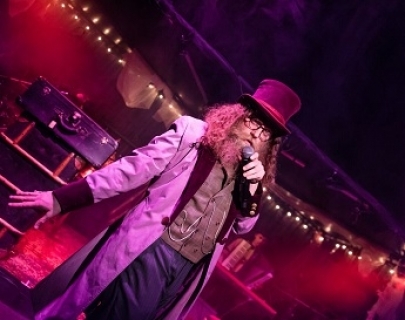 This Klezmer-folk music-theatre hybrid starring genre-bending sensation Ben Caplan is inspired by the true stories of two Jewish Romanian refugees immigrating to Canada in 1908. It’s about how to love after being broken by the horrors of war. It’s about refugees who get out before it’s too late, and those who get out after it’s too late. And it’s about looking into the eyes of God. Award-winning OLD STOCK: A Refugee Love Story thrilled audiences at the Edinburgh Fringe in 2017 and is touring the UK following a hugely successful run in New York and across Canada. Although a tale of immigration to Canada in the early twentieth century, viewed through the historical lens of Jewish immigrants a hundred years ago, Old Stock has also been created as a poignant reflection of this very current crisis in our world today. Please note that the production does include some swearing plus language describing violent acts and that of a sexual nature. For these reasons we suggest that the production is most appropriate for audiences aged 14 years+. 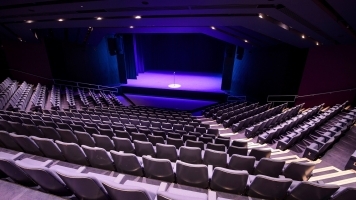 A Q&A session which aims to create a friendly space for audiences to meet with members of the company, share feedback as well as offering a platform for wider discussion around the social, political and humanitarian themes explored in the show. This Introductory Workshop in the ITM Alexander Technique offers students the opportunity to investigate the way they think and the way they move in relation to their work as a performer. To find out more or to register your interest, contact j.branson@warwick.ac.uk.